Summary Thanks to the exposed location next to the mountain station of the cabel car in one of the most famous wintersport areas of the world, this solar power plant is annually observed by thousends of people. It is the biggest integrated solar power plant (70m2) in the Swiss alps, 2662m above sea level. 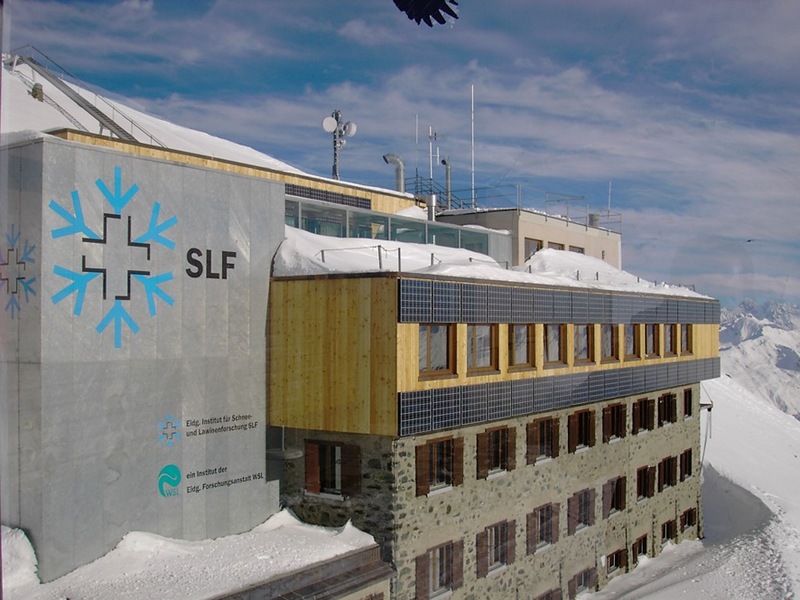 The solar power plant is perfectly integrated in the south facing facade of the institute on top of Weissfluhjoch.